Wittner WSE1 clip-on Music Stand Shelf Extender. 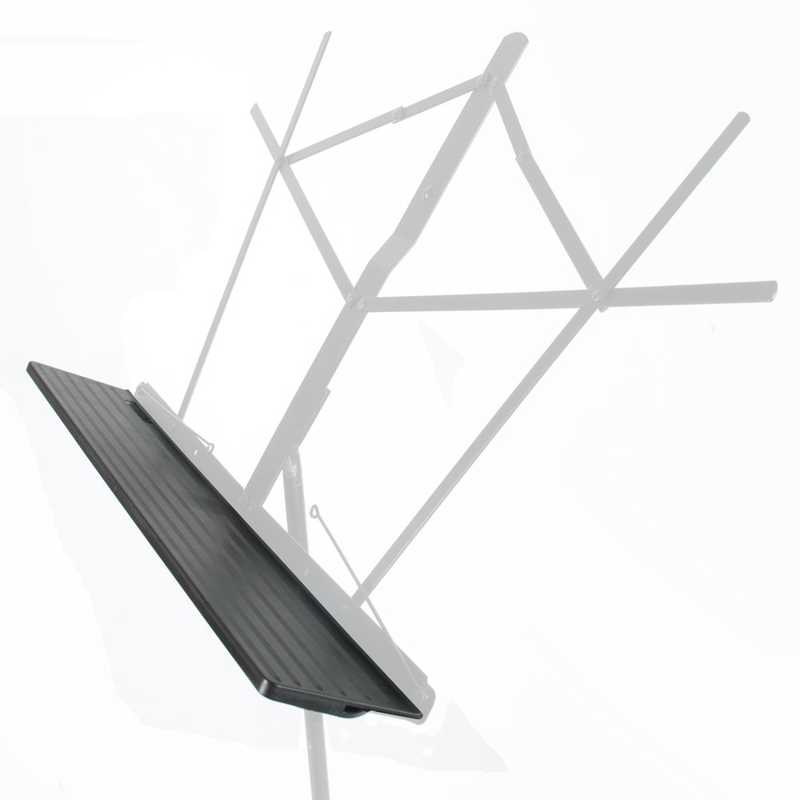 Makes the shelf on your standard music stand wider and deeper. Great for heavier and larger books, or orchestral 3 fold scores.